The ASUG SAP TechEd Design Team invites you to plan submit a proposal for SAP’s premier tech conference, SAP TechEd 2017 in Las Vegas, this year September 25-29th. ASUG is partnering with SAP once again for SAP TechEd. Call for proposals is now open. You are invited to take advantage of this opportunity to share your knowledge to thousands of attendees. If your submission is accepted, you will receive a complimentary, lecture-only ticket to the event. Logon here – if it is your first time, you may be prompted to create an account. Select SAP TechEd 2017. SAP TechEd does not reimburse for speaker’s time, travel or hotel. Registration Excludes access to: hands-on sessions and pre-conference sessions. Both can be added to your registration for an additional fee. If you have questions, email saptechedspeaker.info@sap.com. Then select Session level (beginnger, intermediate, advanced), programming language (if applicable), products and job roles. Also the team would like to see 3 key takeaways. 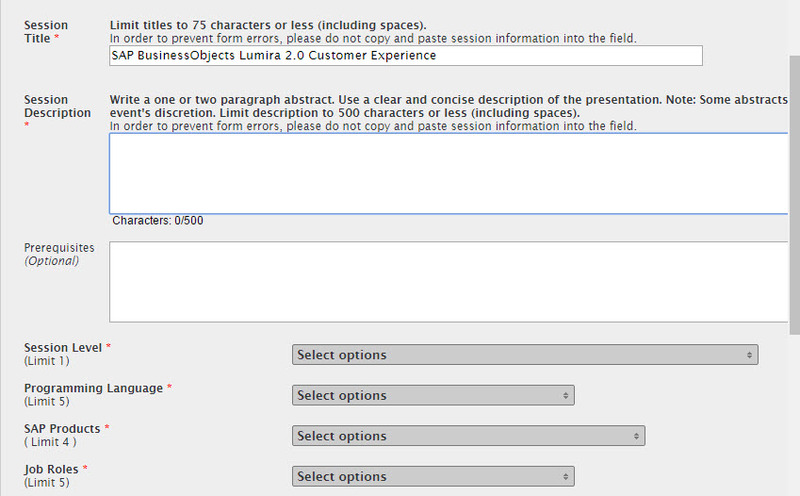 If this is not an ASUG Influence session, select radio button no. The enter speaker; you can search if it is already in the catalog. Be sure to submit your session at the bottom and then you will be prompted to finalize submission. Tammy, What is the cut-off for the submission? Could you please let me know. As of today I see the due date mentioned in the ASUG email is April 1, 2017. Tammy, When the finalization will happen? Any idea? Vijay – you should hear back on this later this month officially from ASUG about the status; things are still in review. Thank you for your interest! Tammy, I was late in checking this. Is the submission still open or is it closed now? I got to know about this today. Can I submit now?